Bi-Metal with Cobalt outlasts standard blades. Faster cutting and longer lasting in independent testing. 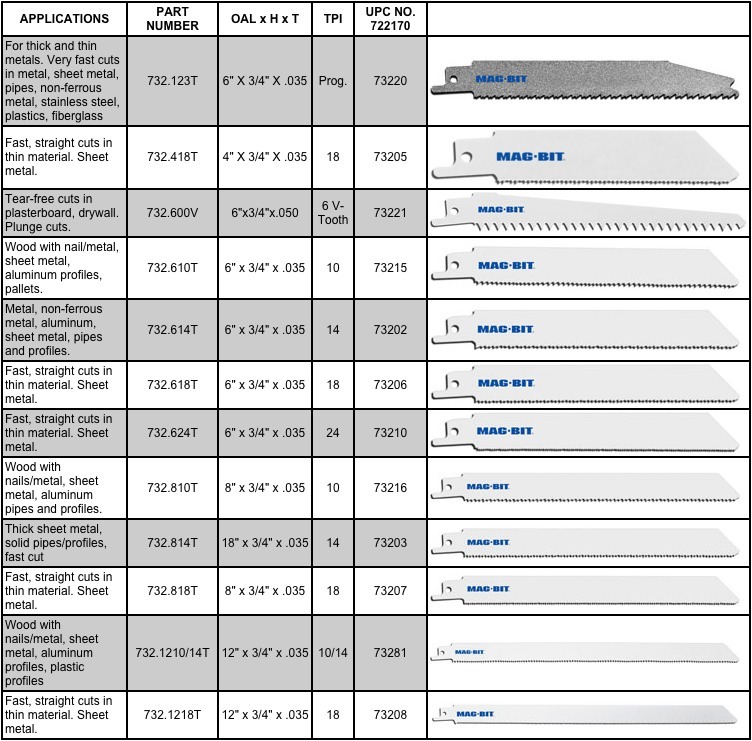 MAG-BIT Progressive blade cuts both thick and thin material. Replaces many combinations of blades.